As the House of Representatives proceeds to vote on The CHAMPIONING HEALTHY KIDS ACT, the American Association of Teaching Health Centers urges the House of Representatives to approve H.R. 3922, which includes bipartisan legislation to reauthorize the Teaching Health Centers Graduate Medical Education (THCGME) program. As the national association of teaching health centers funded by this federal program, we are heartened that the CHAMPIONING HEALTHY KIDS Act includes a two year extension for THCGME and a funding level that more accurately reflects the costs associated with training the next generation of community-based primary care physicians. We note that H.R. 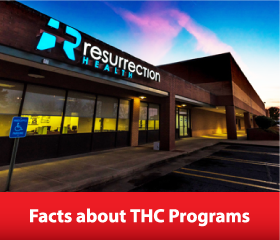 3922 also includes funding for other important public health programs like CHIP, Community Health Centers, and the National Health Service Corps. We do not support, however, all of the budgetary offsets relied upon in H.R. 3922 and encourage Members of the House and Senate to continue their efforts to identify an alternative offset. As we have noted previously, the delay in finalizing a multi-year reauthorization has led many Teaching Health Centers to postpone or cancel plans to recruit another class of medical residents. Given the shortage of primary care physicians and other medical professionals in so many parts of our nation, it is imperative that we avoid losing an entire class of medical residents. We remain very hopeful that the House and Senate can finalize legislation that, among other things, will provide certainty and stability to Teaching Health Centers. We are very grateful to Representatives Cathy McMorris Rodgers and Niki Tsongas, who introduced our reauthorization bill, and to the Republican and Democratic leadership of the Energy and Commerce Committee, for recognizing the value of the THCGME program and for working with AATHC for the past year to get us to this point in the legislative process. 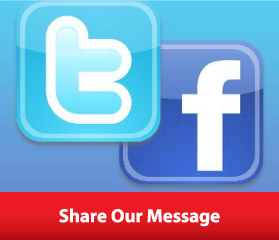 Help us share our message on social media networks like Facebook and Twitter. Simply click the “Share Our Message” button below and select the button below that describes the group you identify with most. Then choose the message you want to share with your family, friends and Congressional leaders. Or click on the Share Our Vision button below for dynamic images that you can share via social media. The rise of social media has profoundly altered the way in which constituents interact with elected officials. As a public forum, social media increases visibility for what was once a private conversation between the writer and receiver of a letter or email. 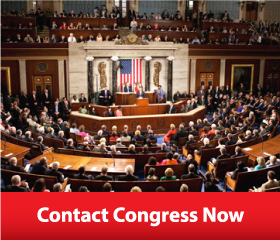 Visit our Contact Congress, Share Our Message and Share Our Vision sections to urge members of Congress to fund this important program.